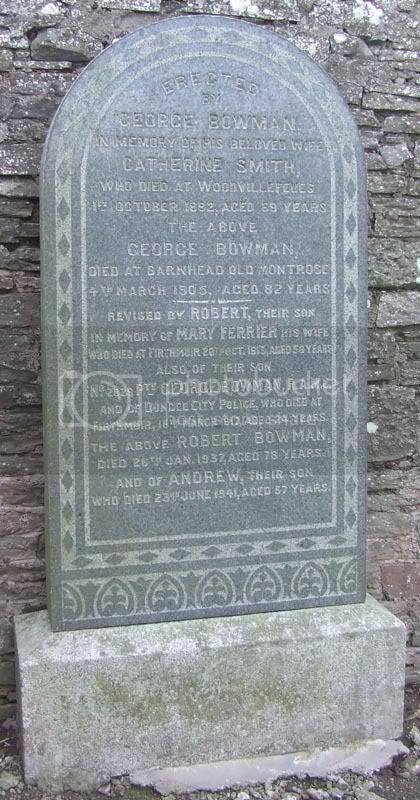 Additional information: Son of Robert and Mary Bowman, of Colliston, Arbroath. 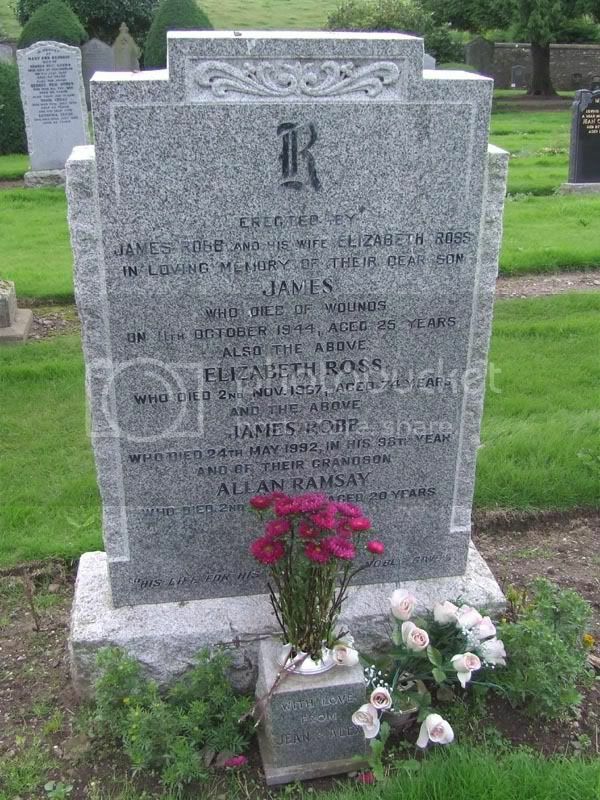 Additional information: Son of James and Elizabeth Robb, of Carnoustie. Grave/Memorial Reference: Sec. 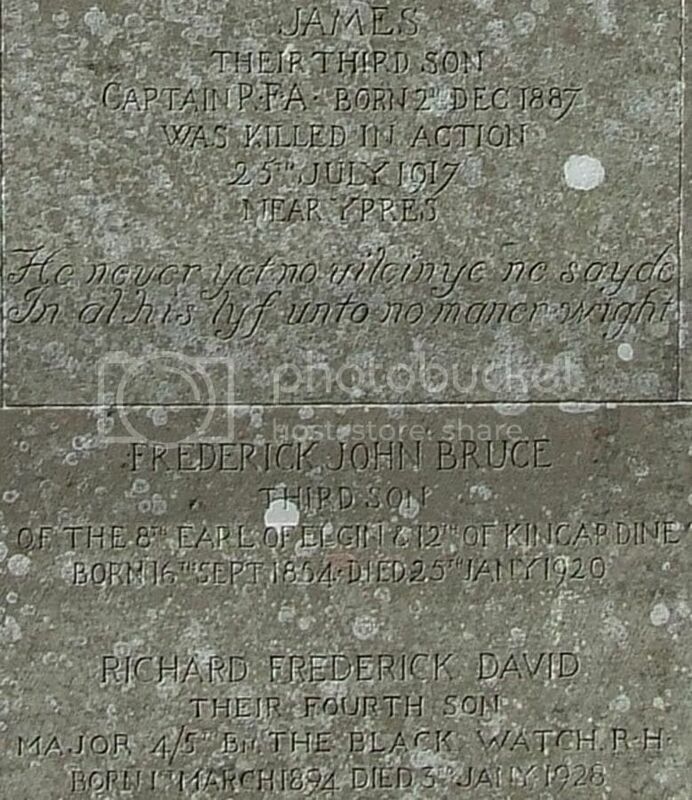 D. Grave 172. Additional information: Son of Hon. 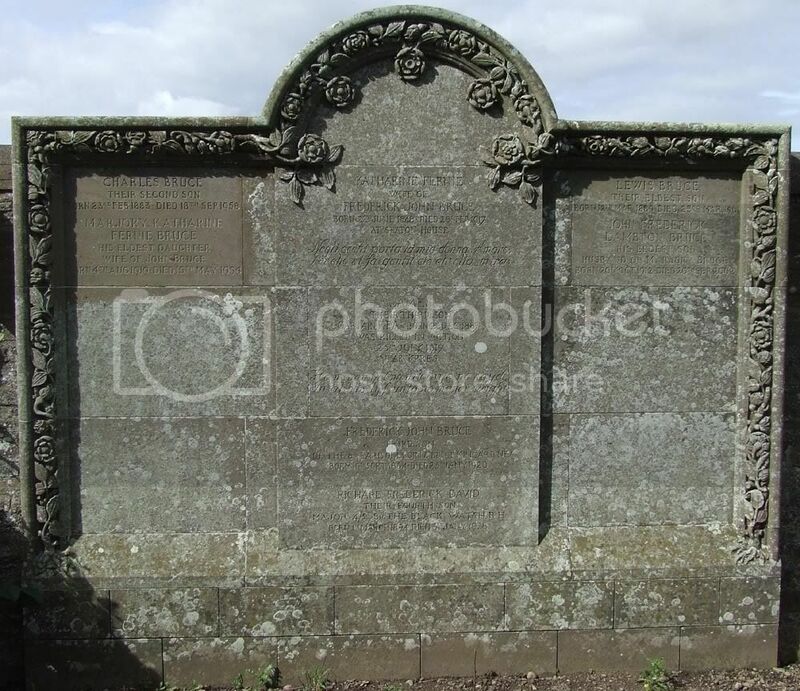 F. J. and Katherine Bruce, of Seaton House, Arbroath, Forfarshire. Grave/Memorial Reference: II. E. 28. And, just out of interest, direct lineal descendents of King Robert I of Scotland - The Bruce - who saw a fair bit of active service himself!